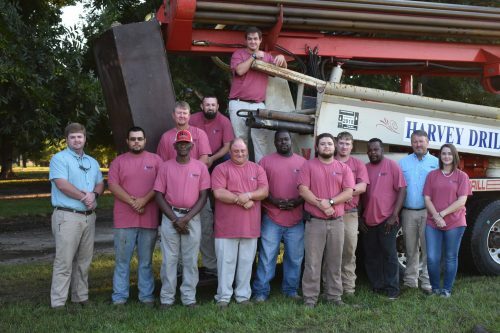 Harvey Drilling Corp has over 50 years in the well drilling industry, and is proud to serve a wide range of clients all over the Albany, GA area. We have the experience, personnel and equipment necessary to meet your needs. If you are going to invest in a big project, such as well drilling or well water testing in Albany, GA, then you need to make sure you are using the best products, employing the best strategies and working with the right people. When you hire Harvey Drilling Corp as your well drilling service in Albany, GA, you will achieve all of these things in one decision. Since 1969, we have been one of the leading drilling and water testing services in the state of Georgia, and we look forward to each new project we take on. We are a locally owned and operated business in Albany, GA.
Our business has licensed drillers on staff, and we follow all EPD regulations. We have been serving our community and beyond since 1969. We can handle residential, agricultural and irrigation wells. Our services also include water testing, filtration and disinfection.